The Tony Burgess Blog – Page 1112 – The Home Of T-Bird From The Dork Web. I am a believer in meeting someone half way when they seek to build a bridge of understanding. Yes everyone carries a level of guarded optimism in the process but others carry some hurt and pain. Spreading goodwill among men and peace on Earth are things that should be universally embraced. Religion as imperfect as it is has been there to help people from all walks of life in all sorts of ways. As a believer I want to share my faith in a way that is informative and non-threatening. Faith is not a bad thing, it really isn’t. A lack of faith is not a character flaw, its a conscious choice. I hope I have made sense here. Being a servant is a way to get far in life. Of course you don’t want to be a door mat but it also means cooperating and being willing to do things that might help one grow. One of the most powerful ways you can impact someone is to help them in times of need and be willing to help make the world a better place. Being a servant is a great way to improve your life and those around you. My weekend has begun as it is anniversary weekend for my wife and I. 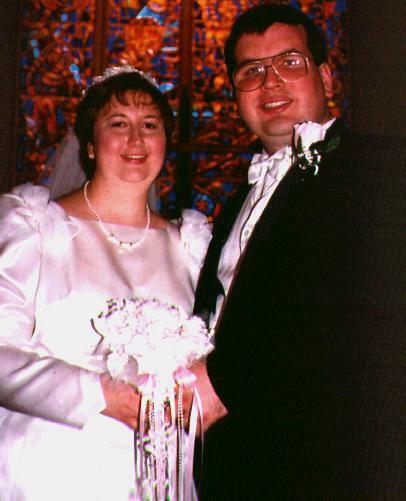 We are celebrating our 16th wedding anniversary. Hard to believe we have been together this long, I am grateful for the good times and the not so good times. Our wedding eve was spent in rehearsal and in the company of our family and friends. There’s something to be said about a life spent with someone you really love! Amazing things can happen in a community when there is a level playing field. That means that you and others can go higher and do more things together. On the job its especially important when you want to advance your cause to have everyone working together at full strength. I don’t know everything. Help me know more than I did before. Being informed means acknowledging you are alive and are capable of doing and being more. Being smart is an asset in this world that can help you change the world. Knowing stuff means that you are able to deal with the world around you. It’s good to be reminded that the east coast of the United States of America is not the center of the universe. Much happens here but its not the only place where important things happen. It’s good to get perspectives from people from other parts of the world. Blogging is a good example of how connected we are. We do indeed live in a world community. Our globe is made up people from all walks of life in all the great places of creation and I am grateful for that.